Rachelle joined the firm in 2010. Rachelle is responsible for the marketing, communication and business development efforts of the firm. She manages website and social media development, branding, and advertising. 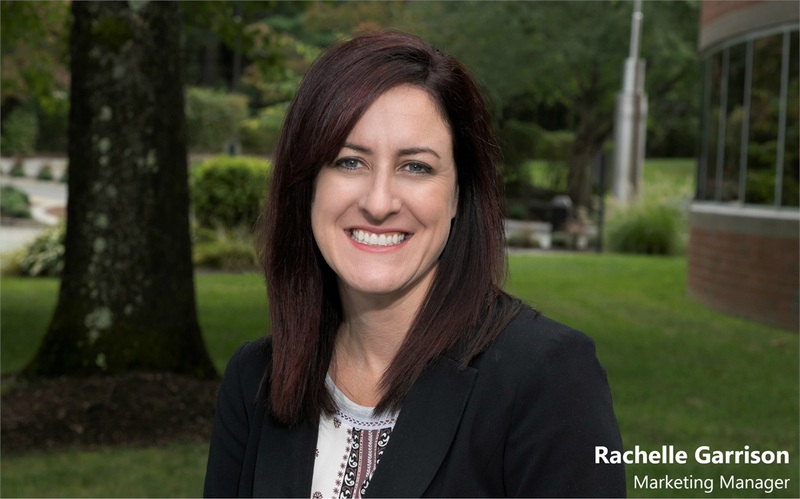 Rachelle started as a Client Relations Associate where she worked directly with clients and staff to help ensure a high level of customer satisfaction. She recently took on the task of designing a new logo and website for both Landmark Financial Services Group, LLC and Mark W. Nichols, CPA, PC. Creativity, determination, and the ability to work under pressure are her greatest strengths. Immediately prior to her position with the firm, she worked as a service coordinator for a material handling company, which required her to manage and track technicians in the field and handle customer requests and billing. She is a proud veteran of the United States Navy where she served as a Hospital Corpsman 3rd class stationed in the state of Washington and on special assignment in New Hampshire. She assisted in the mobilization readiness of Naval Reserve and Marine personnel and received the Flag Letter of Commendation for her support in the mobilization requirements of over 200 Marine reservists. Rachelle enjoys sketching, painting and going on adventures with her husband and two boys. Rachelle is not registered with Woodbury Financial Services.